Although there are numerous flooring options available to homeowners, carpets are certainly a welcome addition in practically any home for the benefits they offer. These benefits include making the home safe and comfortable, reducing risks of injuries, sound absorption, and even warmth. However, buying a carpet is not exactly a straightforward process. If you are investing money in carpeting your living room, or any other area in your home, it is crucial to consider a few factors before making a purchase. When purchasing carpets, Mansfield locals will benefit from following these tips. Some homeowners who want to save a few dollars select carpets with poor padding. Although a carpet’s padding remains practically unseen once installed, it plays a crucial role: providing strength, support and cushioning. When a carpet is going to be installed in high traffic areas in a home, it is better to opt for carpets with firm and dense padding. As for areas with minimal foot traffic, less padding will do. The most common carpet styles are Saxony, Berber, plush, frieze and textured. Again, before choosing a specific style, you also have to factor in where the carpet will be placed as well as the amount of traffic in that area. If you choose plush carpeting, for example, because of its soft feel, know that it is prone to showing footprints and is susceptible to pooling. 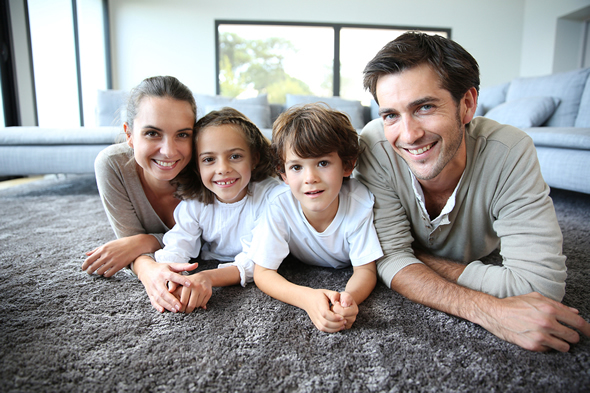 Instead of merely looking at the price tag of each carpeting option, do not forget to factor in your family’s lifestyle. You can also get a more objective comparison of different options by requesting separate quotes for carpets and installation. Today, homeowners can purchase carpets from a diverse array of suppliers. However, most people will fare better by choosing specialists who carry a wider suite of carpet types and are staffed by people who truly understand carpets. In terms of installation, you get what you pay for. Scrimping on installation can lead to woes like unsightly seams and bumps. That carpet in the showroom you may be swooning over may look luxurious, but before you make a final commitment, make sure you know and understand the cleaning and maintenance tasks involved, especially if you have pets and young children. If such is the case, opt for carpets that can be easily cleaned and require minimal maintenance.